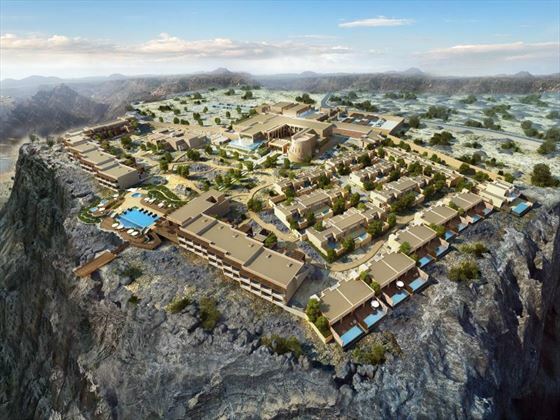 Spend 3 nights in Oman, 2000 metres above sea level at the highest five star resort in the Middle East 'Anantara Al Jabal Al Akdar Resort' a truly incredible experience. 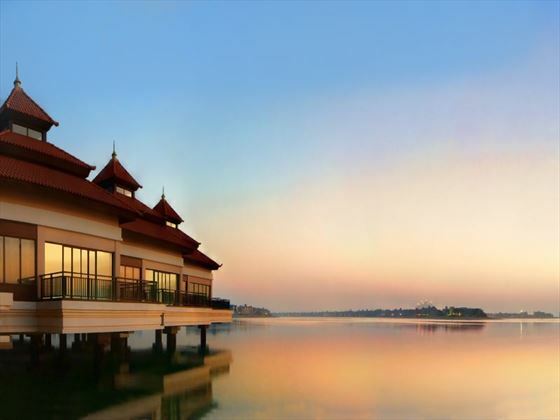 Then onto Dubai for your final 4 nights staying at Anantara The Palm which offers elegant Thai-style accommodation set on the iconic Jumeirah Palm. 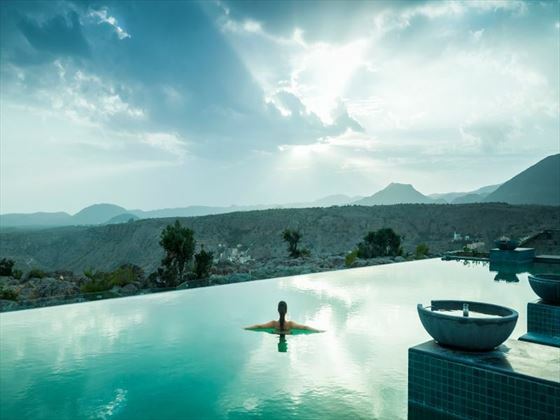 Anantara Al Jabal Al Akdar Resort - Sit back and relax in the beautiful scenic infinity pool which overlooks the mountains or take a dip in your very own private plunge pool when booking a pool villa. Anantara Spa’s luxuriant hammam pampers with Arabian cleansing rituals, and helps you find your natural flow in hot yoga. Enjoy the lively Friday courtyard market, and shisha as you star gaze at night. 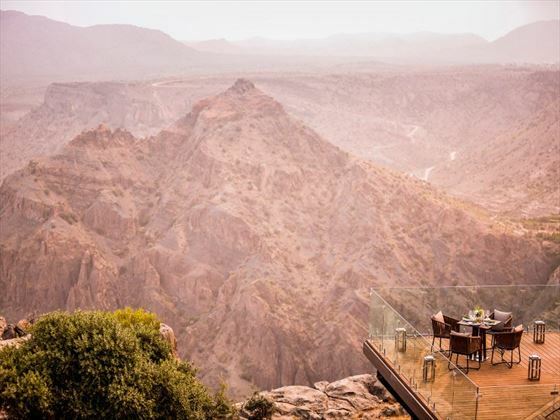 An iconic setting for private dining, our canyon platform is named after Princess Diana, who once graced this glorious site. 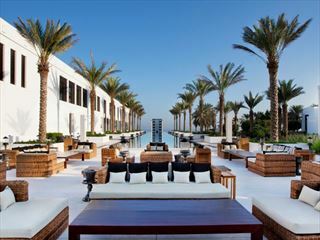 Anantara The Palm - Situated right on the white sand beach of the Palm's eastern frond you'll be treated to the very best of both worlds with fantastic service, unique accommodation and a wide range of restaurants helping to create one of the very best experiences in the whole of Dubai. Eid Al Adha (approx 14 June to 17 June 2018) no alcohol will be served in Bars, Restaurants and Hotels. 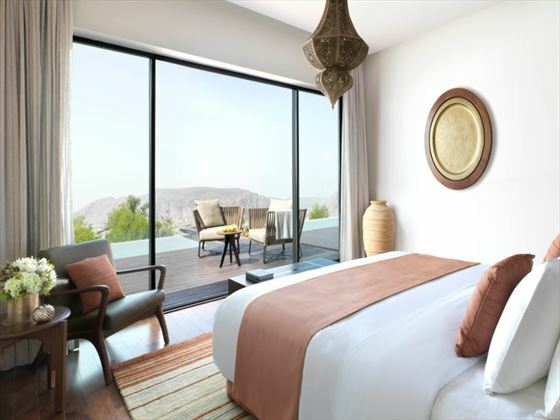 Elegant architecture reflects the mountainous surrounds & Oman’s artistic culture. Contemporary design motifs depict the region’s ancient forts. 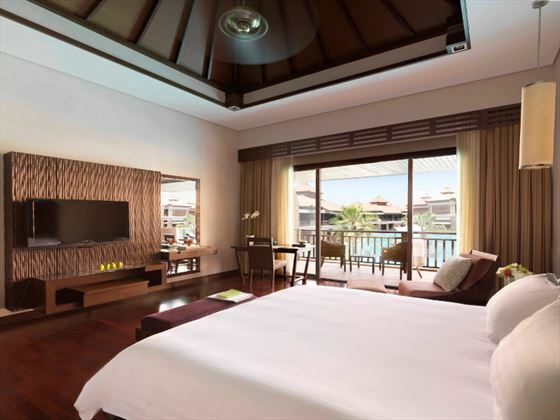 Sit back and relax in the beautiful scenic infinity pool which overlooks the mountains or take a dip in your very own private plunge pool when booking a pool villa. Anantara Spa’s luxuriant hammam pampers with Arabian cleansing rituals, and helps you find your natural flow in hot yoga. You will be truly satisfied with the finest world flavours and traditional tastes from across the region. Go Italian for lunch beside the pool. 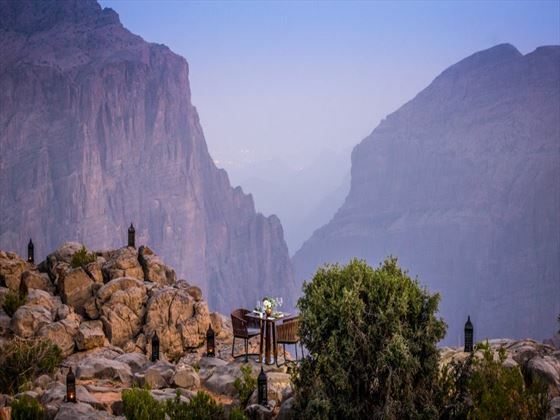 Savour Arabic specialties in a fort tower, or learn how to cook them in a master chef class. Pair exotic beverages with tapas in a Moroccan lounge. 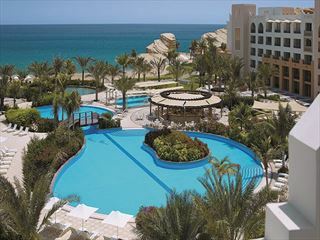 Enjoy the lively Friday courtyard market, and shisha as you star gaze at night. An iconic setting for private dining, our canyon platform is named after Princess Diana, who once graced this glorious site. 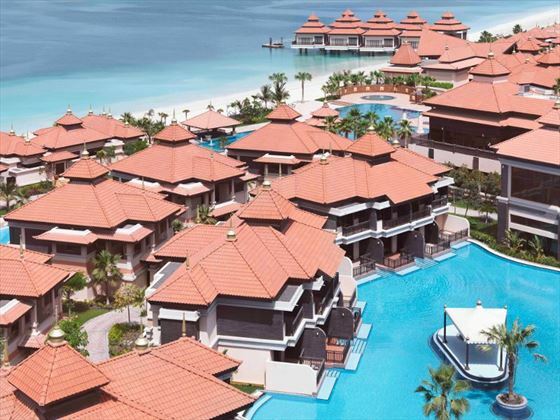 Resting on the eastern crescent of the Palm Jumeirah, Anantara The Palm is one of Dubai’s newest resorts, offering beautifully appointed villas and elegant Thai-inspired architecture. It’s surrounded by contrasting beauties; on one side is the remarkable Dubai cityscape while the other presents stunning vistas across the Arabian Gulf. 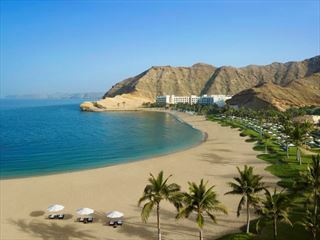 Its location on the Palm is highly convenient, away from the hustle and bustle of the city center. 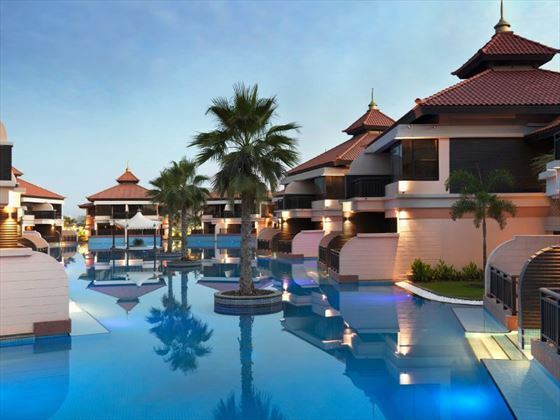 The resort’s fantastic position also means it is just minutes from the huge Aquaventure Waterpark and the Mall of the Emirates. If you’d rather just stay at the resort you can relax poolside – there are three lagoon pools and a stunning infinity-edge pool – or indulge yourself at the Anantara Spa. We love that there are four deliciously different restaurants on-site, making it easy for you to find something amazing for dinner. But of course with the city center so close, you’ll have no problem finding impressive restaurants nearby, no matter what kind of food you fancy. 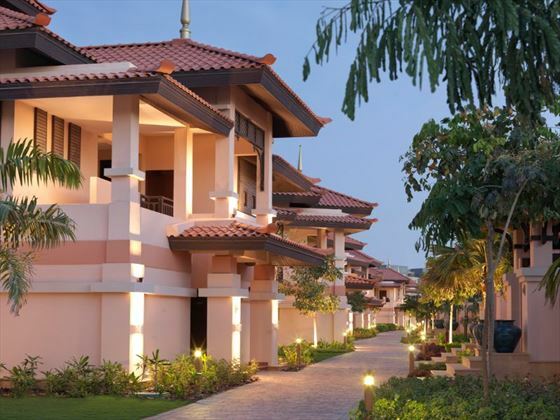 Top Tip: The Anantara Spa has ten treatments and a fantastic relaxation area – it’s well worth paying extra for the treatments as they’ll leave you feeling utterly relaxed.